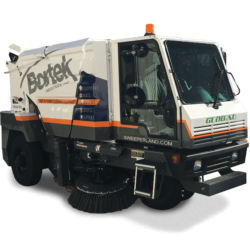 This sweeper covers a wide path, features high quality dust control, and is great for a wide variety of indoor and outdoor situations. The Global M3 is considered one of the toughest street sweepers in the industry. Purpose-built design with safety and low operating costs headlining this machines main features. 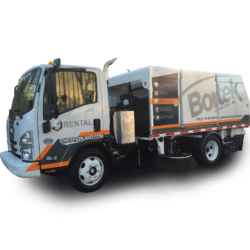 This street sweeper features tight maneuverability and mechanical broom sweeping. 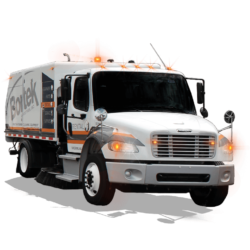 It is capable of traveling at highway speeds between job sites. The Starfire S-4XL offers dust-free sweeping, an easy-to-empty hopper, and spring-balanced brooms which follow the contours of the ground without need for operator adjustment. 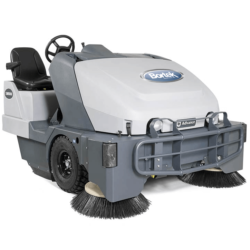 This model offers a very wide sweeping path, excellent dust control, and ease of use. It’s ideal for both indoor and outdoor locations.